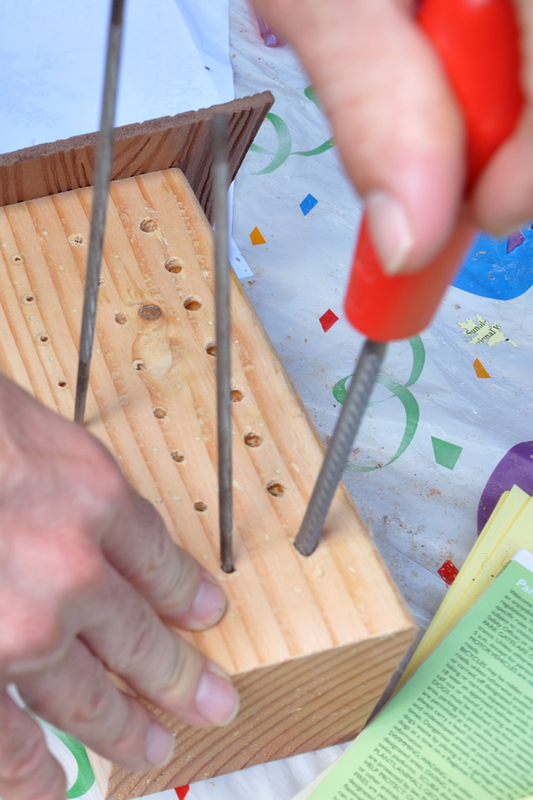 Back in April we got a bee house from the scouts at the Sunol Wildflower Festival. At the booth they showed us how to make a bee house with a few simple materials. The bee houses are for native bees, not honey bees. These bees are solitary and rarely sting (if they even have the capability to sting at all). The bees don’t actually reside inside the box they nest in them. They lay their eggs in the small holes and then seal the hole up with leaves. Bee houses are nice to have in a garden because native bees are great little pollinators. Skeptical, we took our bee house home from the festival thinking it would be more decoration then anything, like a bird house. I painted the house pink before finding a spot for it on the fence between some star jasmine and boysenberries. The house has been up for about two months now and several of the holes have actually been filled. Surprise, surprise what busy little bees. 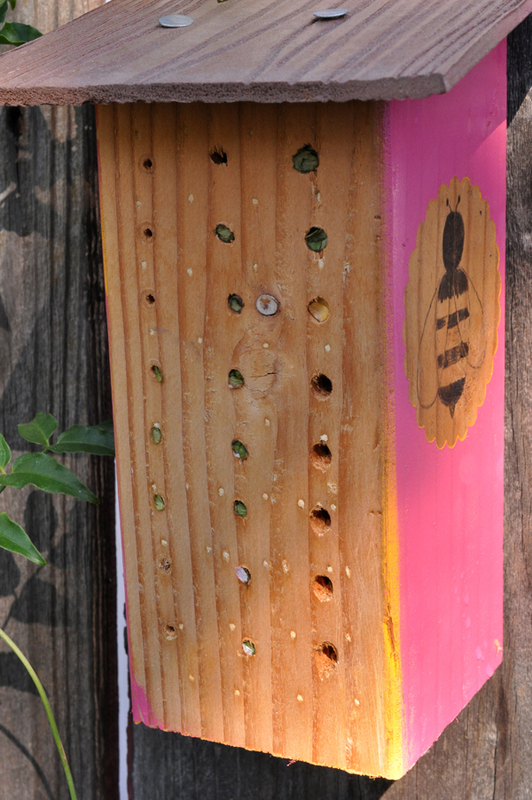 filled in bee box © creativebleedFor more information on native bees check out this article. 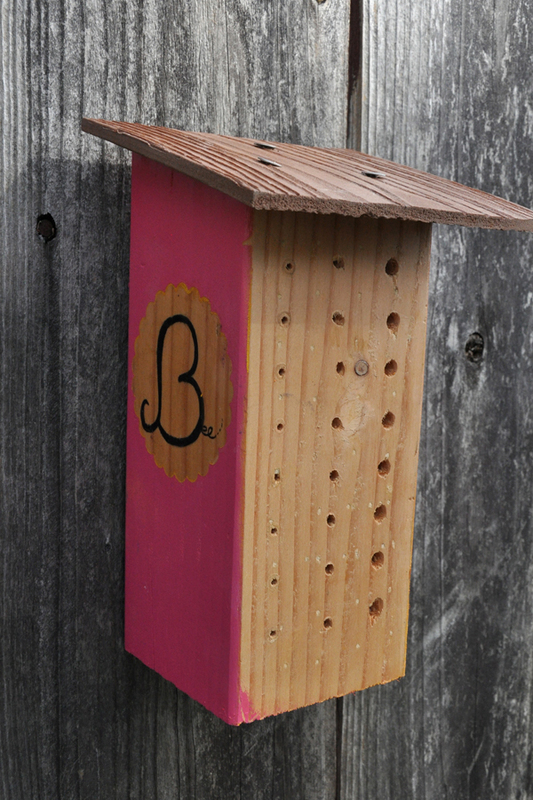 To make a similar bee hotel check out this tutorial.